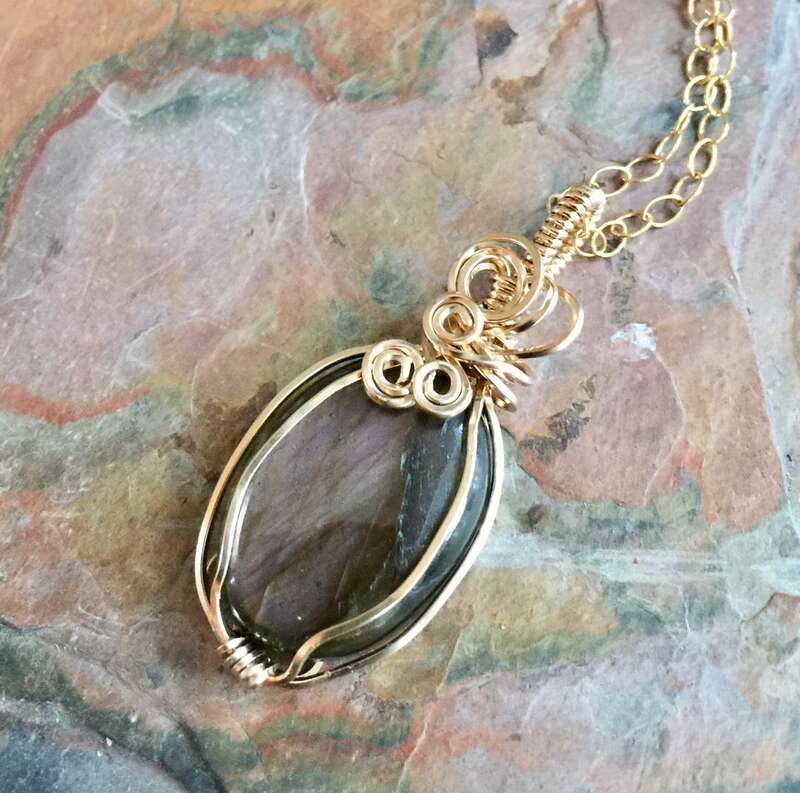 This listing is for the beautiful wire wrapped Natural Labradorite Pendant in Gold filled wire. 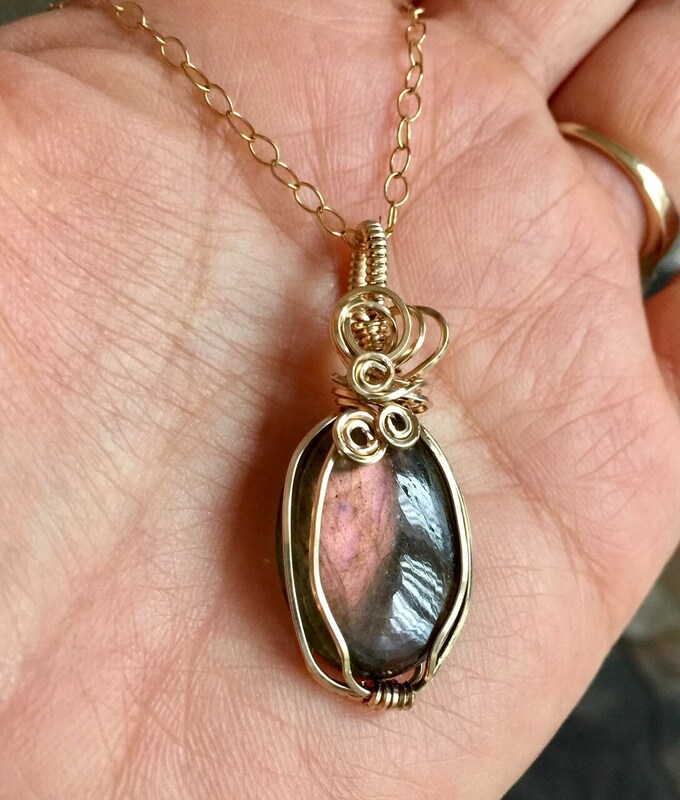 This RARE natural beautiful Labradorite displays a beautiful pink, desert warm sunset golden color flashes. This particular one displays predominantly pink purple flashes. 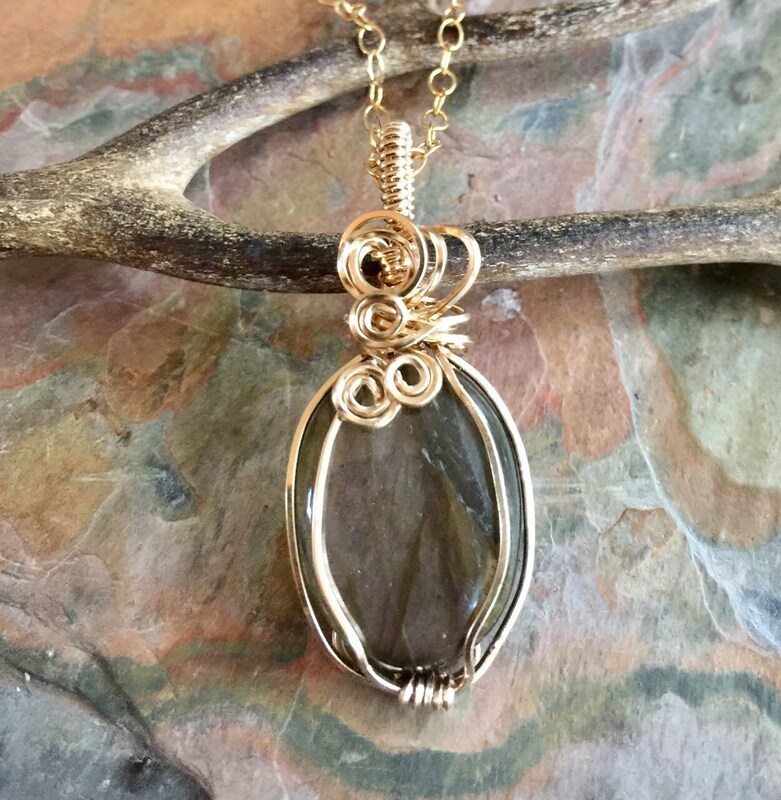 The stone is wire wrapped in using gold filled wires in free style. 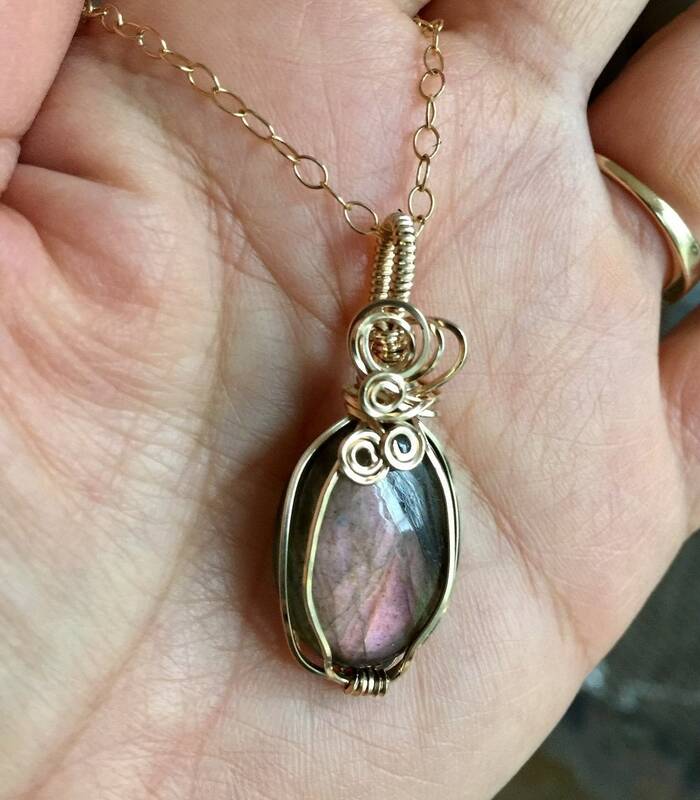 It comes on a gold filled chain. 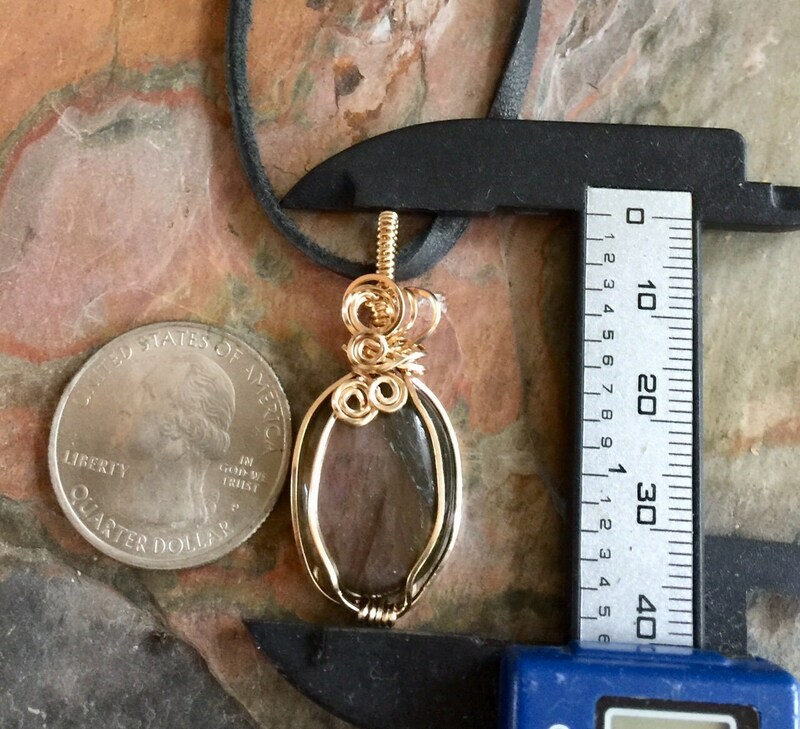 The pendant measures 1.50 inch from the top of the bail to the bottom of the pendant, .65 inch across. *The Tree of Life is a universal symbol found in many spiritual traditions around the world. The tree of knowledge, connecting to heaven and the underworld, and the tree of life, connecting all forms of creation, are both forms of the world tree or cosmic tree. 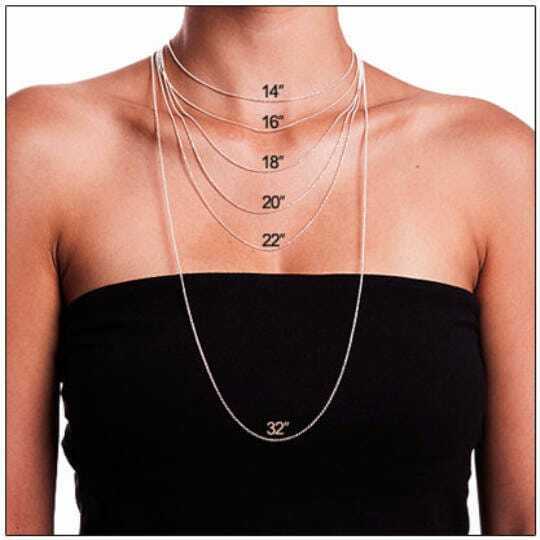 It's meaning represents life itself, wisdom, love, strength, protection, beauty, bounty and redemption. The tree is associated with the creator because it provides protection, supports abundant fruit production and thereby, regeneration.